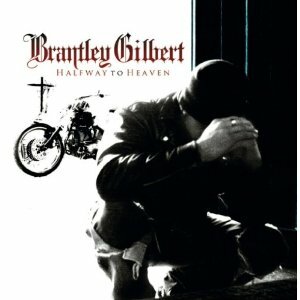 Are you ready for some Brantley Gilbert in 2011? Brantley is looking to take a big step out of the songwriting definition this year as he works to become a fan favorite performer and artist. Earlier this year he switched record labels and is now prepping his first single release, which appears to be Country Music Must Be Country Wide. The track is nothing less than what you’d expect from the rising country star. It’s in your face rocking country music. There’s attitude dripping from every word Brantley sings and the chorus is there to kick you right in the teeth with grit and emotion. In the song Brantley sings about the country influence all across the nation. It doesn’t matter where you were born, where you were raised or where you live today. You can live the country lifestyle just about anywhere. Being from Wisconsin I can attest to a bunch of great country folks living and working up here in the Midwest. There are plenty of guys and gals from the country around here and they sure love their country music and are going to love hearing Brantley Gilbert on the radio. For people hearing Brantley for the first time with Country Music Must Be Country Wide it’ll be a great introduction. He’s a country rocker with plenty of talent and passion and he’ll find fans country wide after his new music hits the big time.